It has been a while since Drupal 8 has been around. It took me some time before I actually started to develop Drupal 8 websites, sticking with more convenient Drupal 7 (Which I believe still is one of the best versions of Drupal out there. With this article, I decided to start new Drupal tutorial series on how to develop Drupal 8 website from scratch. As usual, I will give live examples. The idea about Cloud Mining Review affiliate site come after I've been exposed a lot to crypto investments, both buying and mining cryptocurrency. There are already more than 50 articles published on my blog about cryptocurrency, and some 7-8 covers topics regarding cloud mining. These articles are good in terms of website traffic, so I decided to experiment both with building a new Drupal 8 website and make an extra income from the affiliate. To make it happen - I will need to work not only on website development but also on great articles and SEO. Also, this will give me a good material to share with you. This is the website I was able to build with Drupal 8 from scratch in some 4 hours (including 2 basic article writing). As you can see, there is nothing much, but some work has been already done, like setting up VPS (hosting), registering a domain name (GoDaddy), creating a sub-theme from Bootstrap, enabling a couple of modules. Pretty much the most basic stuff. Although many of the technical details covered in that article are already implemented out of the box in Drupal 8, that's still a good and valuable read. A webpage is like an investment you make in your companies asset. Before building a website, no matter is it Drupal or it is not a Drupal, you must carefully plan - what about is this website? What value does it give? Is it a personal webpage/blog just for personal use, or it's made to attract new/more customers to your business? Attracting new customers - well, yes it sounds nice in theory, but what about taking care of already existing customers? To inform them about your companies activities, offers? 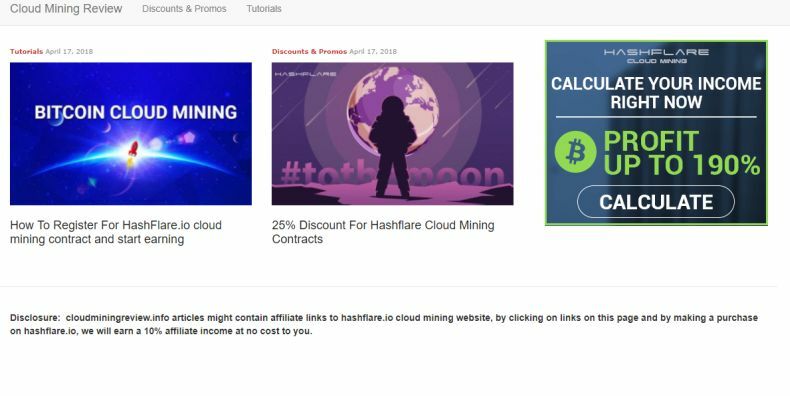 As with the case of Cloud Mining Review, I already knew what I'm trying to build - an affiliate income website covering articles and reviews about cloud mining. Personally, I use Godaddy for purchasing new or extending existing domain names. There are many of other domain name sellers, but I will stick with GoDaddy for the ease of this article. When it comes down to the hosting, you have zillions of options, you could go with a shared hosting (is there anybody still using such) up to a dedicated server. For the past five or 6 years, I've been working with a custom built VPS from companies like Linode, Digital Ocean and other. As I'm a huge admirer of Linode, I will stick with a Linode for this tutorial. In fact, writing down a configuration for Linode would ask a separate article, which luckily I have, follow this guide to setup a Drupal 8 on Linode cloud hosting. Now if you still have decided to stay with a Linode, after you have set up your Drupal 8 website on it, you should go to Linode dashboard and from DNS management enable your domain name. After what you should return to Godaddy.com and from domain name management (again DNS - change Nameservers to ns1.linode.com, ns2.linode.com). If you need any help with purchasing a domain name or setting up a Drupal website on Linode.com, feel free to contact me, for a fixed price I could help you with that.